I so love Valentine's Day! I love having a holiday that celebrates love and friendship! 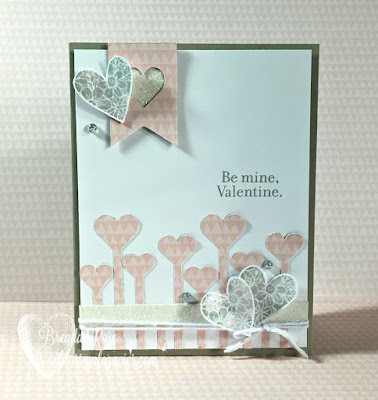 I made this card using Sugar Rush paper, cuts from Artbooking, and the January Stamp of the Month, Adore You. I also put a little white glitter paper behind the heart banner, and of course, I used the clear shimmer brush on the hearts.